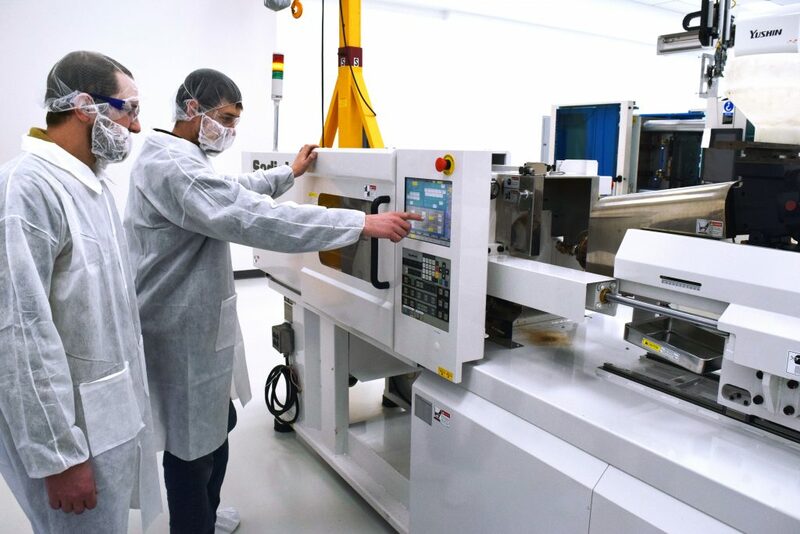 Beaumont Advanced Processing Expands to Offer Cleanroom Molding %%sep% Beaumont Technologies, Inc.
ERIE, PA – Beaumont Advanced Processing (BAP) ended 2018 by achieving a major milestone: the company passed its certification audit and is now offering cleanroom injection molding that is classified to Class 8 standards per ISO 14644-1:2015 guidelines. While the company is certified to ISO Class 8 standards, they are operating at a Class 6 particulate count. BAP is recognized as a company with rigorous standards for its products and services, as well as its workforce. Over 70% of BAP’s employees are degreed engineers, and the company has implemented individual development plans for every full-time employee.